Q: Why are people attracted to distance cruising under power? A: Many of us look to get back to some simpler truths, some basic ideas of what is important and what is not. Many of us feel the need to get a little closer to the feelings we had when we first got involved in boating — the sense of independence, the confidence we developed in our boats and ourselves, the dreams we created, the desire to learn the skills and craft of practical seamanship so that we might travel with self-reliance, avoiding the overly complex or unfixable. We need to maintain accountability in our boating. By preparing our boats and ourselves beforehand, we can avoid many threatening or disastrous situations. Self-reliance is an important characteristic of the successful voyager or cruiser, and it is developed through experience, knowledge and heart. Q: Passagemaking is not just about crossing oceans, is it? A: No, passagemaking is not just about crossing oceans. 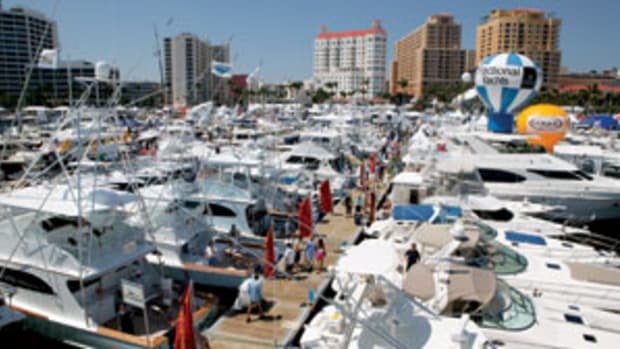 There are vast differences in the intended cruising and voyaging plans of cruising boat owners. Some of us dream of ocean passages to distant lands or island paradises. Many of us prefer gunkholing around the U.S. coast, perhaps following the Intracoastal Waterway. Some of us are intent on voyaging longer distances along the coast to Alaska or the Canadian Maritimes, while others want to explore the Caribbean or Mexico. A growing number of cruisers plan extended voyages on our inland waterways, including the Mississippi River, to circumnavigate the eastern half United States on the Great Loop. Passagemaking takes many forms. Q: Do I need a trawler to do this kind of cruising? A: There’s great diversity here. 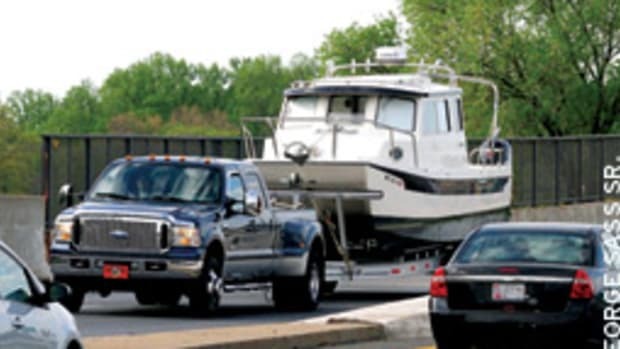 There are also some strong opinions out there about what a well-equipped, distance-capable power cruiser is and what it is not. Some owners are adamant about the full-displacement nature of their boat’s hull form, which provides excellent tracking ability and offshore capability. Others insist their ideal is a semidisplacement boat with fabulous teak interior and excellent speed and accommodation potential. Still others identify closely with custom or converted commercial designs, developed to maintain life aboard for long periods. Recent years have seen the rise of distance-capable Down East designs, multihulls and trailerable pocket cruisers that are designed to cover long stretches of water. 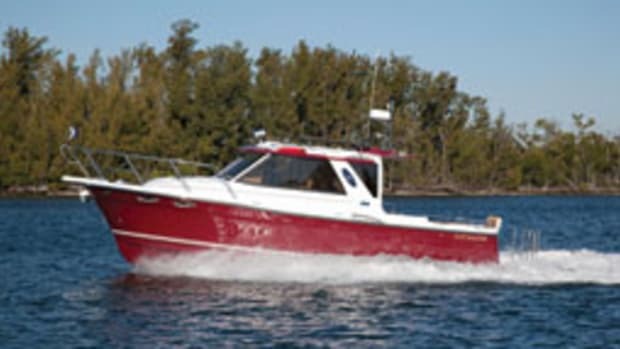 Q: What are the common traits that make these different kinds of boats capable cruisers? A: What is remarkable about all this diversity is the common theme that transcends the differences between boats, cruising plans and owners. It is the cruising-under-power lifestyle that binds together all of these interests. 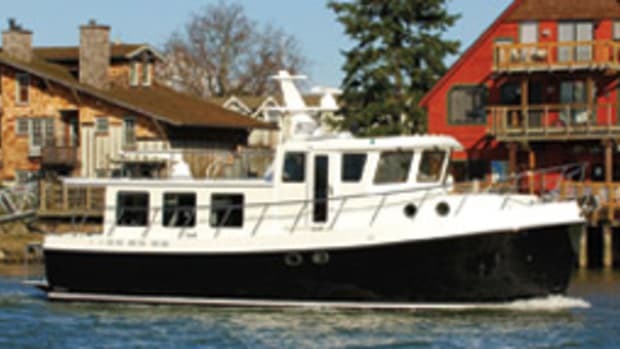 As a whole, the lifestyle we enjoy is about quality of life, self-sufficiency, economy of operation, modern conveniences, cruising capability and true comfort aboard. Q: Who is the typical power cruiser? A: Most of us want the ability to spend less time at a dock, preferring instead a quiet or secluded anchorage. We often cruise at a leisurely and economical speed, which extends our range and independence. We tend to enjoy the voyage as much as the destination. Much like turtles, we may enjoy a slower pace but are content knowing that no matter where we end up we are already home. 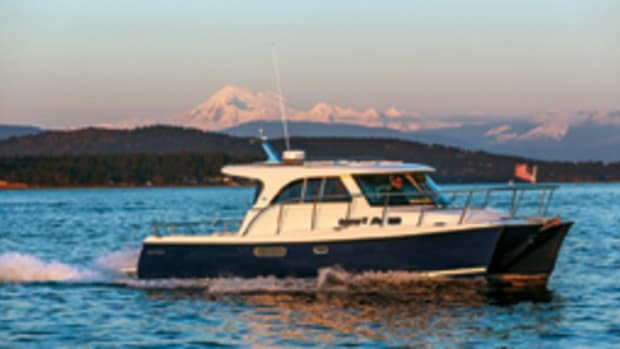 Q: What is the difference between a passagemaker owner and owners of other kinds of boats? 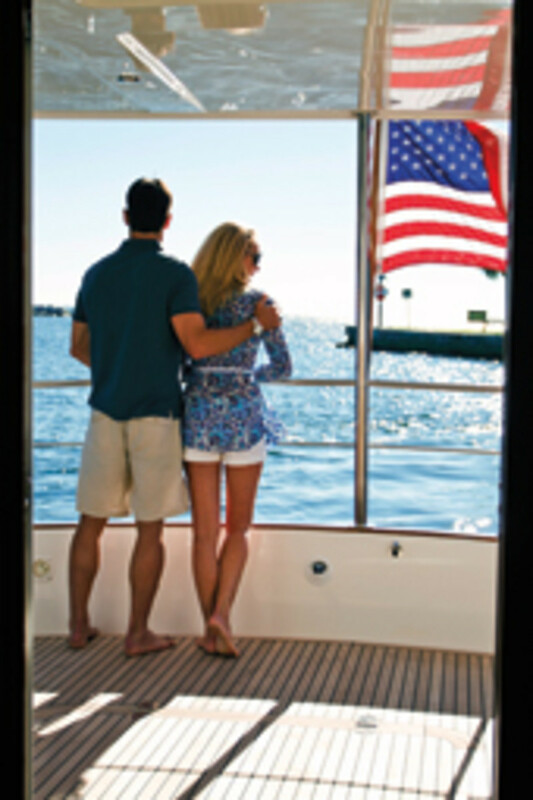 A: Almost without exception, the owners of these boats share a reverence for the engine room. 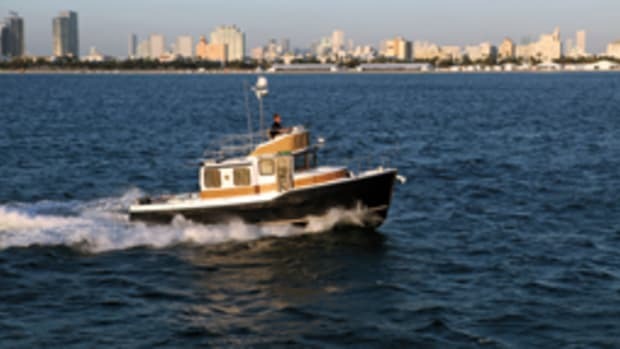 More than a simple premise of “cleanliness is next to godliness,” we know that the safety and success of our cruising absolutely depends on the reliability of the boat’s propulsion and major systems. This reliability is achieved primarily through devotion of the crew toward simple and routine maintenance schedules. There is also a realistic desire for self-reliance in our approach to the boat and its systems. We want everything aboard to be as workable, reliable and fixable as possible. In a world of awesome push-button and electronic technology, we alone want to determine when and where this technology should be used aboard to make our cruising safer and more enjoyable. 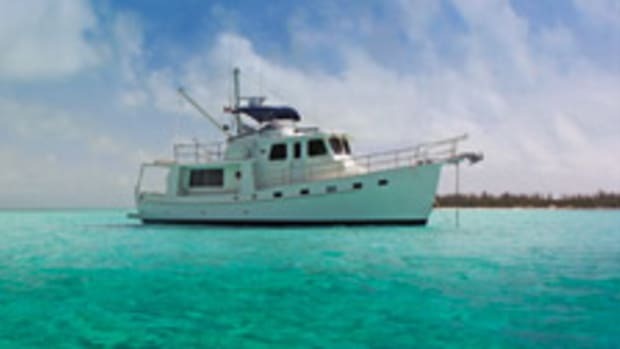 Q: Is long-range cruising usually the dream of one or several people, family or friends? A: The people who cruise in trawlers usually do so as a team. They share decision-making responsibilities regarding the boat, the necessary planning and preparations, and the passagemaking. They share the good and the bad together, the realities and the dreams. Often couples, their bond is tested and often strengthened by this experience. Shared with family and sometimes with friends, the team philosophy can provide insight and balance to all of our relationships. So we celebrate the team and strive to satisfy each of our interests. 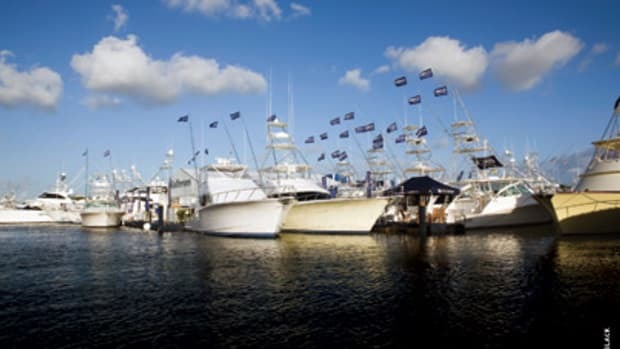 Q: What’s the relation between PassageMaker magazine, TrawlerPort and Trawler Fest? A: PassageMaker, through the magazine and through the two events we produce — TrawlerPort and Trawler Fest — focuses on exploring and presenting the realities of cruising and voyaging under power. We document and teach the preparations necessary for traveling and living aboard and how to deal with practical and often non-marine issues. We want to assist you in making your cruising plans attainable, affordable and enjoyable. It is all about passagemakers — the boats, the people and the lifestyle.